I have written this book as a result of a discussion among a group of men on The Power of One, centered on the Sudanese lady Meriam Ibrahim, who was sentenced to death for her Christian beliefs and was made to give birth while chained up by her legs in prison. Her story was broadcast around the world. Many great men were mentioned as having great power and changed situations. When it was my turn to speak, I mentioned this man who'd murdered a quarter of the world's population. The place went very quiet. 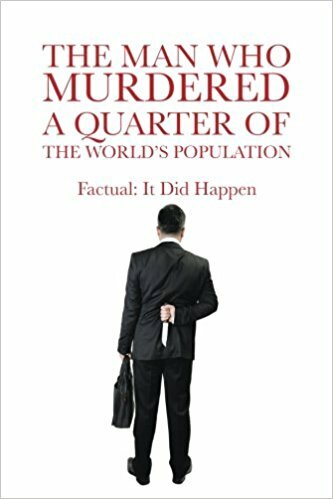 After about twenty seconds, I explained that they have probably met him by reading about him, or they have probably heard someone talk about him but did not realize that this man had murdered a quarter of the world's population. When they heard it, the place was in an uproar, and there was great laughter. I had to beg them to settle down in order for me to finish my talk. Ira is giving away a $25 Gift Card!